The Marlin's Car Doom Slide queue is like a trip across the back alley's of Doomtown. The attraction cars are just like Beauty the Cab, and as you drive you can slide them by twisting the wheel. Warning: just before your birthday, this attraction will be full of zombies. Pregnant adults may particularly want to not ride. 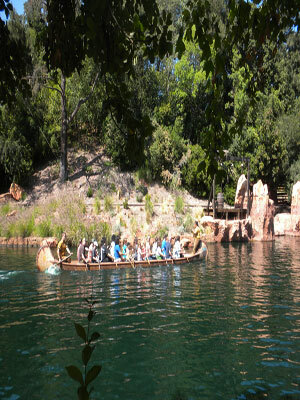 This attraction's track actually was constructed below the river. To test the attraction car design, pixies put a The Many Adventures of Winnie the Pooh beemobile on the Alice in Wonderland track.